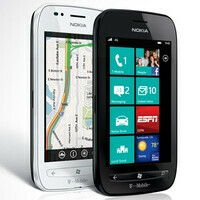 If you have your mind set on the Nokia Lumia 710 for T-Mobile, you are probably aware that the smartphone's launch is only two weeks away from today. And another sign reminding us that Nokia's first Windows Phone device bound for the U.S. is nearing its release is that T-Mobile already has it listed on its web page. Currently, the Lumia 710 is listed as “coming soon”, yet sadly, we see no clues indicating whether the smartphone will go on pre-order or not. Still, those who are interested in grabbing one are free to leave their email so that a reminder will be sent to them when the handset goes on sale. But wait, there is more! 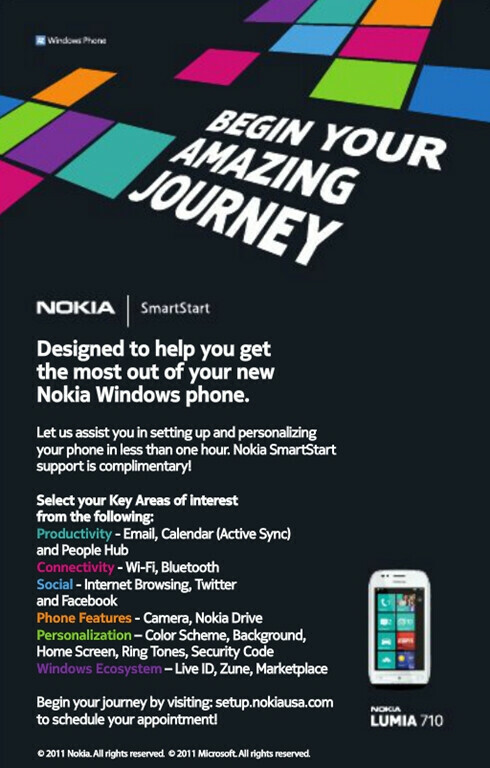 Thanks to a retail flier for the Nokia Lumia 710, we now know that the smartphone will come with the so-called Nokia SmartStart service. In plain words, every customer who gets the device will receive up to a whole hour of a company representative's time, who will provide assistance with setting up the device, as well as configuring it in accordance to the user's areas of interest. So, is anyone picking this one up when it launches next month, or you would much rather wait and see what devices CES 2012 brings? Feel free to share your thoughts in the comments below. want a bigger version of the nokia lumina 800 and not on tmobile give me it on ATT with lte ill be happy if it comes in red its a winner in my eyes!!!! After 14hrs only 2 comments. There is not interest or excitement for this phone. Agree lubba, unfortunately, i'm in the camp that would love to see more windows phones on T-Mobile, but would love to see something higher spec. The Lumia 800 would have been most welcome and hopefully we will see something else for T-Mobile at CES as part of Nokia's operation rolling thunder. In the meantime, the 710 and Radar are basically in competition with similar specs and target audience.